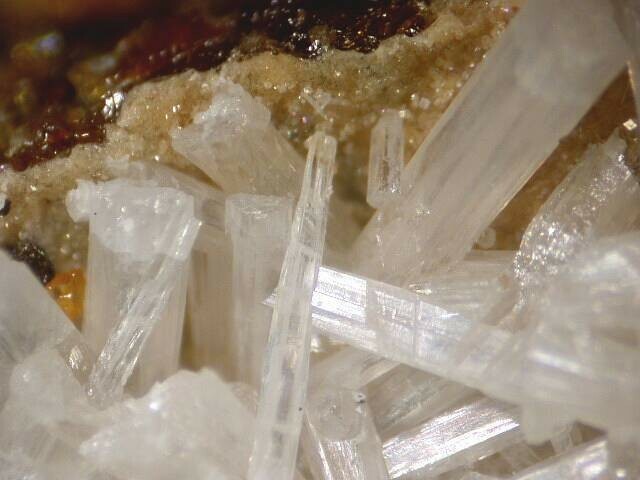 Nasonite: Mineral information, data and localities. Named in 1899 by Samuel Lewis Penfield and Charles Hyde Warren in honor of Frank Lewis Nason [May 12, 1856 New London, Wisconsin, USA - September 12, 1928 Glens Falls, New York, USA], American geologist, mining consultant, professor of mathematics at Rensselaer Polytechnic Institiute, Troy, New York and geologist of the Geological Survey of New Jersey. A student of the Franklin and Sterling Hill ore bodies. Nason was also a novelist who wrote mining adventure stories. 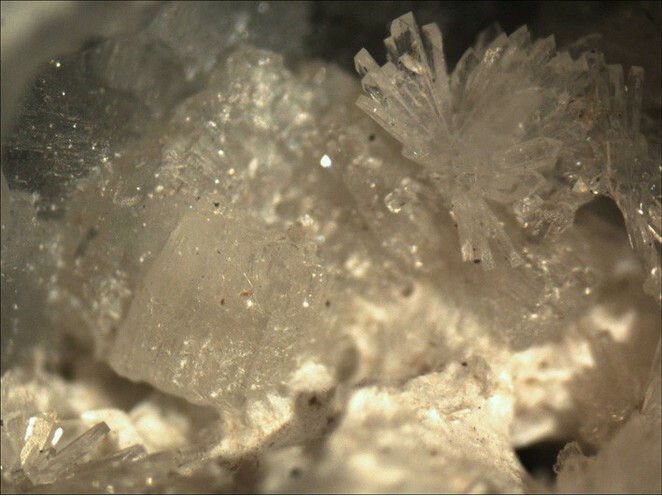 This page provides mineralogical data about Nasonite. Johannsenite 5 photos of Nasonite associated with Johannsenite on mindat.org. Clinohedrite 5 photos of Nasonite associated with Clinohedrite on mindat.org. Hendricksite 5 photos of Nasonite associated with Hendricksite on mindat.org. Andradite 5 photos of Nasonite associated with Andradite on mindat.org. Willemite 5 photos of Nasonite associated with Willemite on mindat.org. Barysilite 4 photos of Nasonite associated with Barysilite on mindat.org. Baryte 3 photos of Nasonite associated with Baryte on mindat.org. Ganomalite 3 photos of Nasonite associated with Ganomalite on mindat.org. Merwinite 2 photos of Nasonite associated with Merwinite on mindat.org. Hematite 1 photo of Nasonite associated with Hematite on mindat.org. 17.3.19 Verplanckite Ba2(Mn,Fe,Ti)Si2O6(O,OH,Cl,F)2 · 3H2O or near Hex. Frank Leslie's Popular Monthly, (1902) Frank Lewis Nason, Volume 89 (June), p. 310. 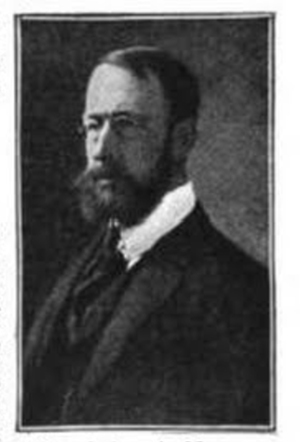 The Atlantic Monthly (1902) Volume 89, p. 45. 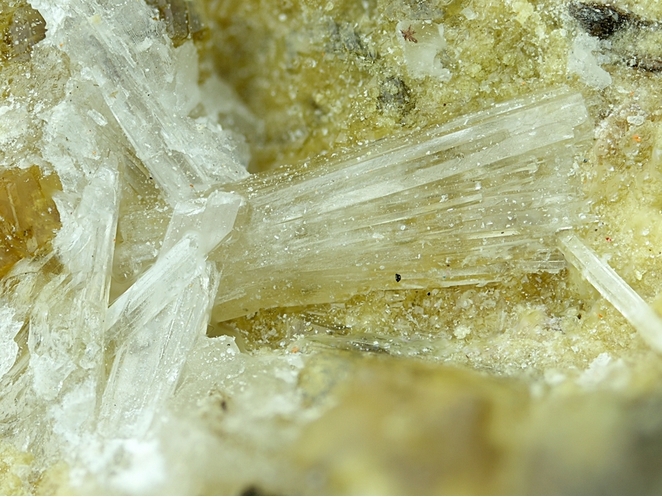 American Mineralogist (1971): 56: 1174-1179. Acta Crystallographica (1987): B43: 171-174. Dunn, Pete J. (1995): Franklin and Sterling Hill New Jersey: the world's most magnificent mineral deposits, Part : 3: 419. Murdoch, Joseph (1952), Nasonite from Crestmore, California: (abstract): Geological Society of America Bulletin: 63: 1341; Pemberton, H. Earl (1983), Minerals of California; Van Nostrand Reinholt Press: 515.